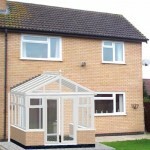 At Project Conservatories we draw from over 50 years of experience in design and construction of all types of conservatories, from your basic garden room to complicated commercial restaurant extensions. This experience benefits our clients as there is very few design or construction issues that we have not encountered and resolved. At Project Conservatories we recognize that the conservatory industry has evolved, through advanced technology products have been designed to be more user friendly. 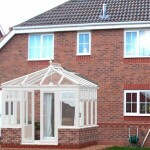 In the past you would require an experienced tradesman to install a standard conservatory, but today using Konnect technology the same structure can be installed by a competent DIY home owner. At Project Conservatories we supply an award winning, self build conservatory system manufactured by one of Europe’s top conservatory manufacturing companies, K2 Conservatories, with over 750,000 UK installations. 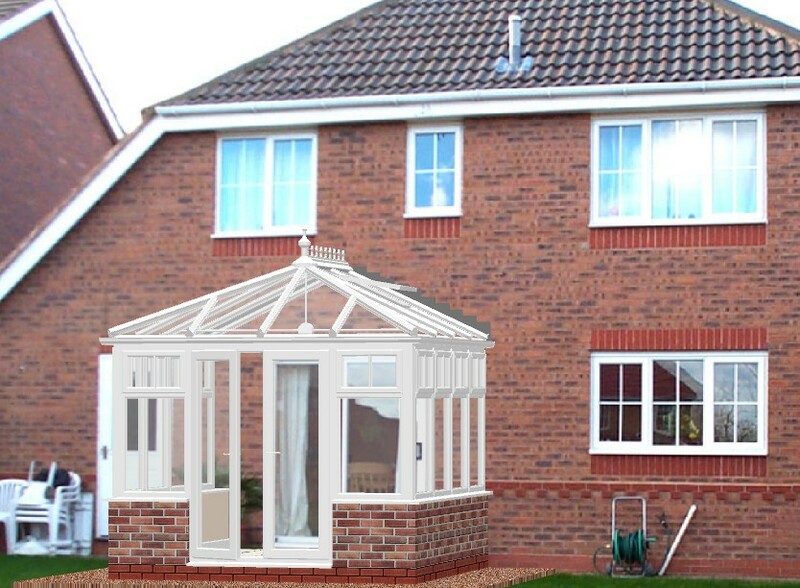 Using our trade discounts and by cutting out the middle man, like installation companies, agents and salesmen, we are able to provide an unbeatable value DIY conservatory system at affordable prices. Please be aware that not all online DIY conservatory companies supply systems designed for the DIY market and those systems should be installed by qualified fitters. These trade products do not require the additional material, labor and engineering that is required to create the K2 Konnect DIY system. and therefore should be significantly cheaper. 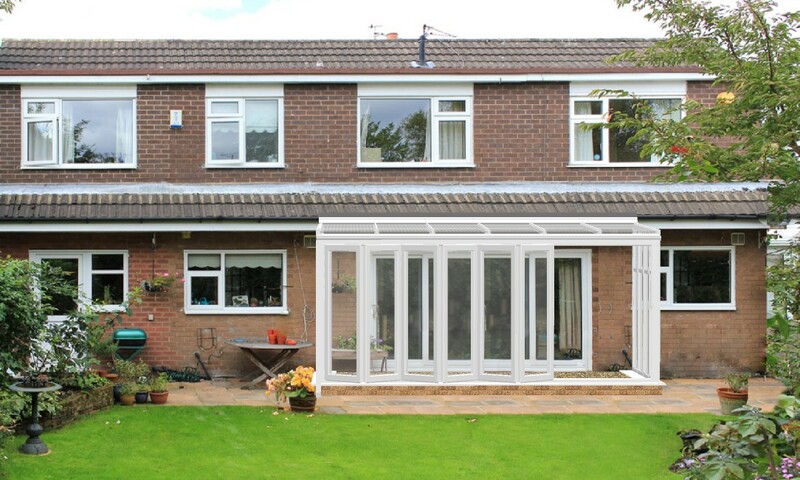 At Project Conservatories we pride ourselves on high service levels and delivering the ultimate DIY Conservatory customer experience, from design assistance and advice through the complete installation. For a no obligation quote or some friendly advise, why not call us on 0800 612 6234 or complete our online quote form. 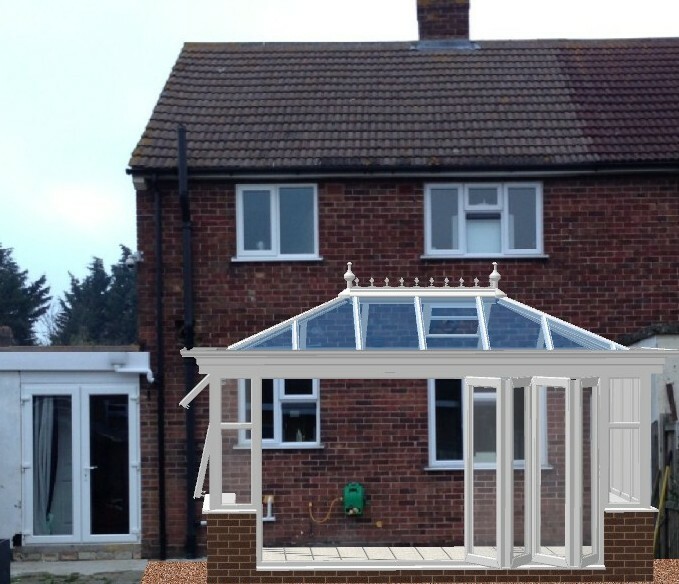 At Project Conservatory we have invested in the latest, state of the art Computer Aided Design technology so we take all the guess work out of designing your self build conservatory. 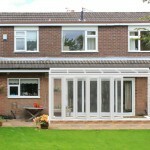 Keep in mind that every DIY conservatory is manufactured exactly to the millimeter, with the specification you require. 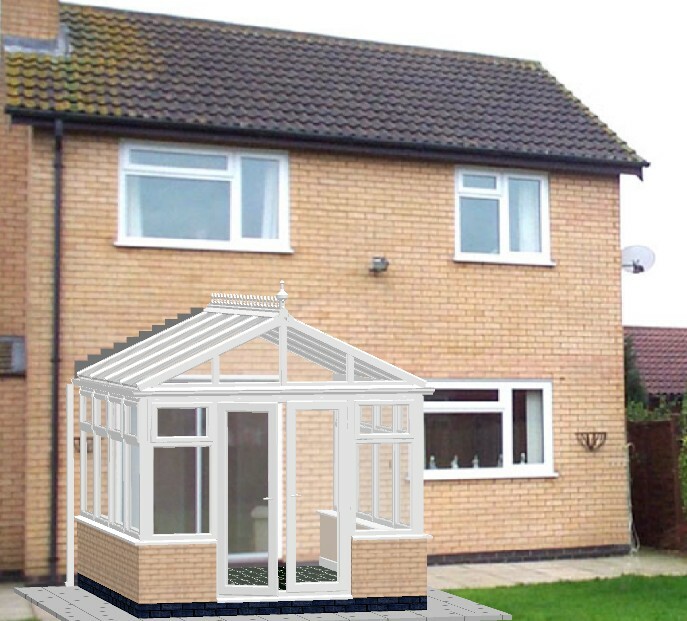 Our CAD system is a dedicated conservatory design program that can create practically any conservatory you can imagine. These are some examples of what the CAD system can produce. Our clients supply us with a photo of the area in which they propose to build their DIY conservatory and we then design the conservatory to their exact requirements and supper-impose the CAD image onto the photo to try and achieve a realistic image of what the DIY conservatory will look like once installed. Some tips on taking the best photo. Stand facing the house in the center of the area you propose to build the conservatory. Try to get back far enough so that the area which the base will be built on is included, further back the better. And make sure the photo is saved to a size of no more than 2mb. Click on the above images to enlarge and click on the back button to return to the page.